Notes: An introduced shrub, this plant takes over wherever it exists, crowding out other species. 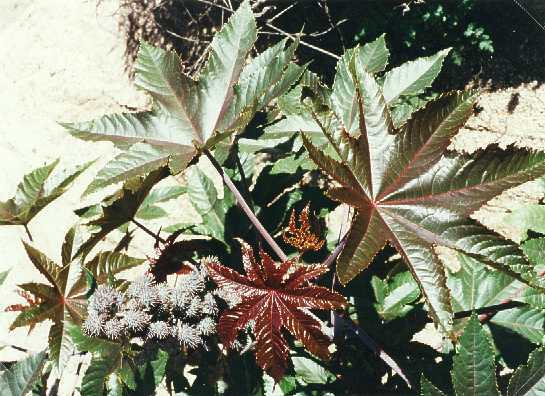 It has deep roots which are hard to remove, and hand-shaped leaves with usually eight "fingers". 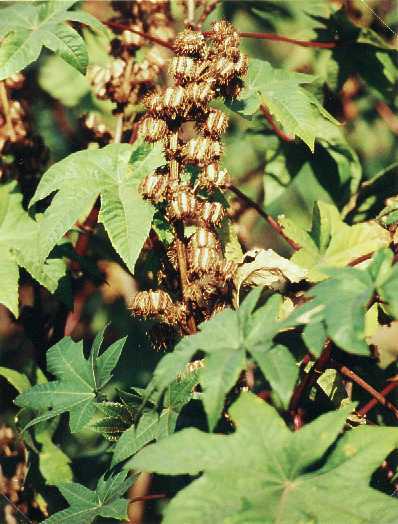 Used in the old days to make Castor Oil, which was used as a medicine, all parts of the plant are toxic. Grows to over 8 feet.